Serving your Calgary and Central Alberta Real Estate needs! A spacious entryway welcomes you to this beautiful fully finished 2 storey in Kincora. The quality finishing includes gleaming hardwood flooring, ceramic tiling and many built in features. The main floor living area is open concept with a gas fireplace in the great room. The kitchen boasts a kitchen island with breakfast bar and counter top gas range, built in dishwasher, oven & microwave. All appliances are stainless steel. The corner pantry provides plenty of extra storage. The adjoining dining area is bright with pictue windows showcasing the large tiered deck. Access the main floor through a mudroom from the garage & walkthrough to the laundry. Luxury 5pc ensuite & walkin closet in the master plus 2 bedrooms & 3pc bath upstairs. A large bonus room above the garage provides flexible living space. The basement is finished with 2 bedrooms, 3pc bath and a recreation area. This home backs onto a green reserve belt with a playground nearby. Perfect for a large or growing family! Total Floor Area: 1,866 sq. ft. 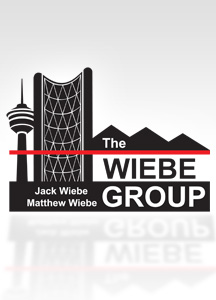 Brokerage: REAL ESTATE PROFESSIONALS INC.
Jack & Matthew Wiebe Real Estate Associates, Real Estate Professionals Inc.